With Avengers: Infinity War set to bring together story arcs from almost 20 movies over the past decade, there's no denying the sheer force and influence of the Marvel Cinematic Universe (MCU). It's grown into a massive box office force that's made billions of dollars for Disney, but it wasn't always smooth sailing. 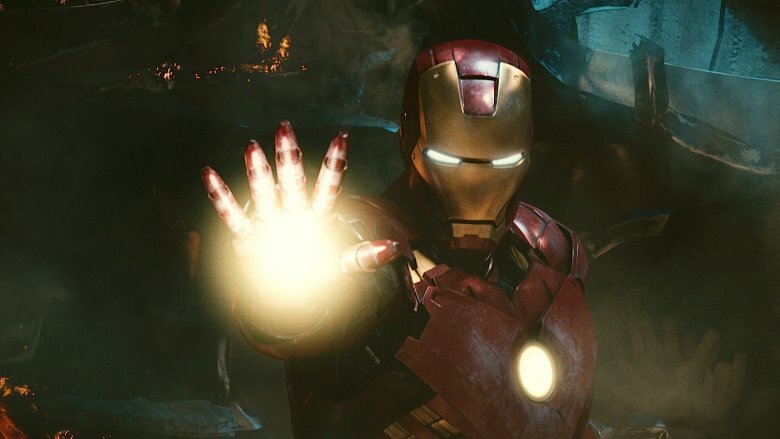 While the cinematic universe was still in its infancy, Marvel experienced its first misstep with Iron Man 2, a film that tried to do too much too soon—foretelling the world-building that would come, just without the finesse fans would eventually come to expect from projects like The Avengers and Thor: Ragnarok. Here's how Iron Man 2, one of the franchise's least-liked movies, almost derailed the Marvel Cinematic Universe. When Iron Man 2 hit the big screen in 2010, we were still in the early days of the comic book movie renaissance. Fans hadn't grown accustomed to epic team-ups or the inherent clichés and formulaic moves that often go part and parcel with a superhero story. Critics were largely kind to the film at the time, with Iron Man 2 scoring a final Rotten Tomatoes aggregate score of 73 percent. It's decent on the average, but MCU films typically do gangbusters with critics, so that still places it on the lower end of the spectrum. Much like The Incredible Hulk, which has largely been ignored in the years since, Iron Man 2 hasn't aged well. As Collider notes in a retrospective on the film's legacy, the final product was bloated and basically served as a template for what not to do in future MCU projects. 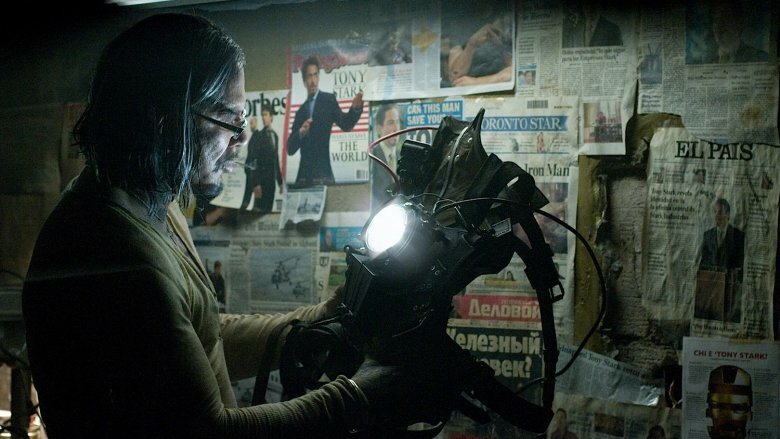 It still made a ton of money at the box office thanks to the Iron Man brand, but there's no doubt it soured some fans with its convoluted plot, zany bad guys, and constant Easter eggs and foundation-laying. Tasked with following up the surprise hit original, the deck was arguably stacked against Iron Man 2 from the jump. Marvel knew Robert Downey Jr.'s Tony Stark was the MCU's biggest and most bankable star, and the studio knew Iron Man 2 would be its last chance to lay some groundwork for The Avengers in a film that was guaranteed to be a hit. To take advantage, the studio wrote in Black Widow, Nick Fury and Agent Coulson in supporting roles that existed almost entirely to establish these characters ahead of the parts they'd eventually play in The Avengers. Iron Man spends the movie dealing with a personal crisis and bad guy Ivan Vanko, all while Nick Fury is bouncing around in the margins trying to heavy-handedly establish his role and shoehorn in the fact that there's a bigger world out there just waiting to be introduced. It was a classic example of show, don't tell—and Iron Man 2 did a lot of telling. Though he's since been replaced by talented filmmakers like Taika Waititi, Joss Whedon, the Russo brothers and Shane Black, director Jon Favreau helped lay the groundwork for the MCU fans know and love today. He brought his passion and talent to the project and played a key role in establishing the tone that would carry on through more than a dozen movies since. Favreau was so passionate about the character, he was mapping out his own Iron Man trilogy when he signed on, with plans to potentially set up an eventual face-off with the Mandarin. Favreau was also eager to explore the "Demon in a Bottle" storyline from the comics which focused on Stark's alcoholism, though Marvel apparently opted to avoid tackling that type of story in its largely family-friendly blockbuster tentpole franchise. It seems Favreau may have had more storytelling freedom in the early days—until Marvel realized Iron Man was the golden goose. Almost every Marvel movie has a villain problem. It's something that's been written about ad nauseam over the years. The studio puts great thought and care into its heroes, but when it comes to their evil foils there's often much to be desired. Thor: The Dark World had the extremely generic Malekith, while Guardians the Galaxy pitted the MCU's most vibrant heroes against the largely boring baddie Ronan. Looking back, the MCU's villain problems started with Iron Man 2. The film featured a two-pronged approach that had Justin Hammer teaming up with Ivan Vanko, which made for an awkward pairing of slapstick and menace that was one of the weakest aspects of an already weak film. 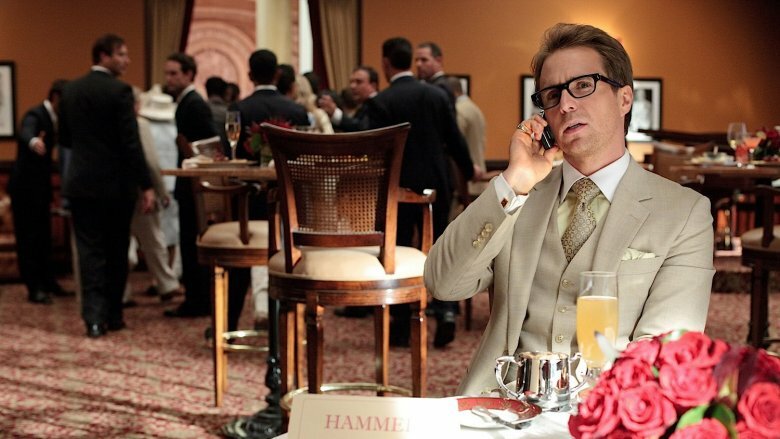 In the comics Justin Hammer has the potential to be a legitimate corporate rival to Tony Stark, but here he's used for little more than a punchline. 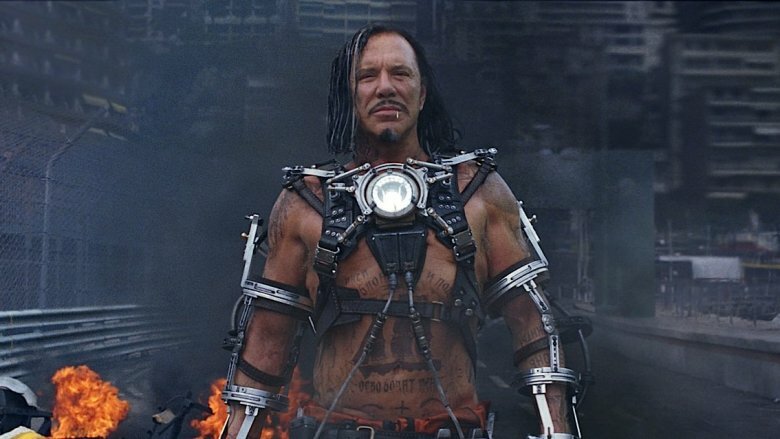 Mickey Rourke's Vanko is a monosyllabic one-note thug who looks absolutely ridiculous wearing his electric whip jumpsuit. Instead of one quality villain, Iron Man 2 gave us two subpar ones. With the MCU now spanning a half-dozen solo franchises and more than a few team-up films, it's easy to forget the state of the universe in 2010. 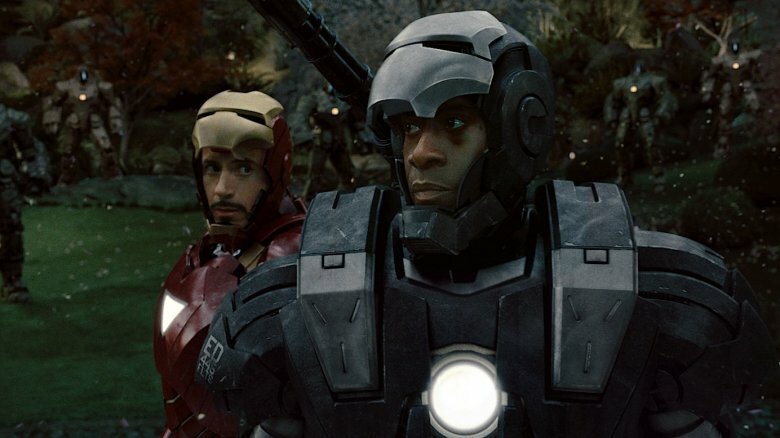 Iron Man 2 arrived at a point where Marvel hadn't really tried teaming anyone up—to the point that seeing War Machine and Iron Man fight side by side was mind-blowing at the time. That moment was obviously huge and a true highlight in a mediocre film, but Iron Man 2 was just Marvel's third film following the first Iron Man and the mediocre Incredible Hulk. Captain America and Thor were still a year away and Marvel was going all in to start laying the foundation for an eventual Avengers film. It felt forced, to say the least, to see Nick Fury talking about a bigger world when we hadn't even met the other half of the Avengers' roster yet. Iron Man 2 is essentially two movies crammed into one, with a Tony Stark story awkwardly coupled to what can best be described as Avengers 0.5. That split focus results in one of the most scattered and unfocused MCU films in the canon. The story picks up in the wake of Iron Man as Tony Stark comes to grips with his newfound celebrity as a superhero, while also grappling with the fact that the arc reactor in his chest is slowly poisoning him. A major plot point focuses on a decades-old diorama from Tony's father Howard Stark that holds the key to a new element that just so happens to be the exact material Tony needs to save his life—and it just gets sillier from there. The story mostly amounts to scattered action set pieces and nods to world-building for future films, mixed with a bizarre side story about Vanko's obsession with his pet bird. The first Iron Man is one of the best superhero movies in the genre's history because it tells a tight, focused story about a hero's deeply personal origins. It had a relatively small supporting cast around Robert Downey Jr.'s Stark, led by Terrence Howard's Rhodey, Jeff Bridges' Obadiah Stane, and Gwyneth Paltrow's Pepper Potts. The sequel more than doubles that cast size, and suffers for it. Howard is replaced by Don Cheadle, and Scarlett Johansson joins the cast as Black Widow, Samuel L. Jackson is there as Nick Fury, Mickey Rourke plays Ivan Vanko, Sam Rockwell is Justin Hammer, Clark Gregg is there as Agent Coulson, and John Slattery pops up in flashbacks as Howard Stark. For a franchise that kicked things off keeping things lean, that makes for one heck of an expansion of focus. With so many characters, the film lost track of actually telling a good Iron Man story. Mickey Rourke is one heck of a talented actor, a fact that made his one-note performance as Ivan Vanko all the more frustrating in Iron Man 2. According to Rourke, that's because a good chunk of his performance actually would up on the cutting room floor after the project hit the editing bay. Rourke said he talked at length with Favreau and the film's writer, Justin Theroux, about how he wanted to add "other layers and colors, not just make this Russian a complete murderous revenging bad guy." Those scenes were shot, according to Rourke, but most of them didn't actually reach the final cut. It's not much of a surprise Vanko's story was truncated after seeing how much stuff Marvel was trying to cram into this movie, but it still makes you wonder what could've been. Marvel Studios is one of the biggest studios on the planet these days, cranking out around three tentpole superhero flicks per year that almost always score great reviews and a ton of cash at the box office. But flash back to when Iron Man 2 arrived, and Marvel was still a relative upstart trying to work out the kinks of how to make all these big movies while keeping the quality level high. It stands to reason the studio learned a lot from this movie—but it came at a cost. 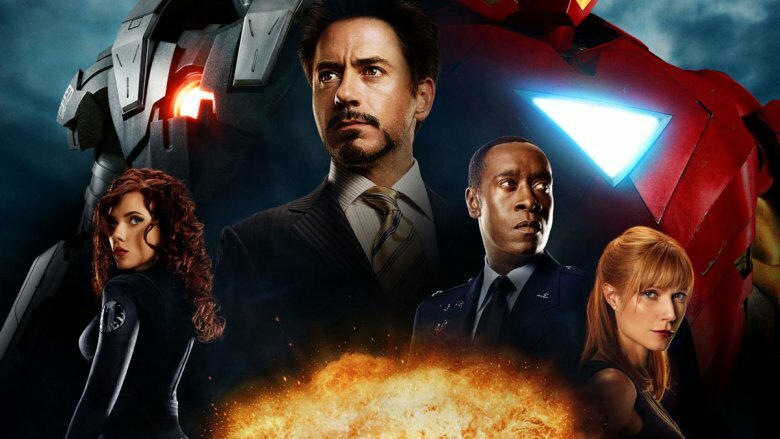 The lessons learned in Iron Man 2 likely helped Marvel make The Avengers such a crowd-pleaser, but we all had to watch a bloated dud to get there. The early days of the MCU were a time that found the studio dropping in fun Easter eggs that sometimes didn't fit all that well with the franchise's longterm plans. 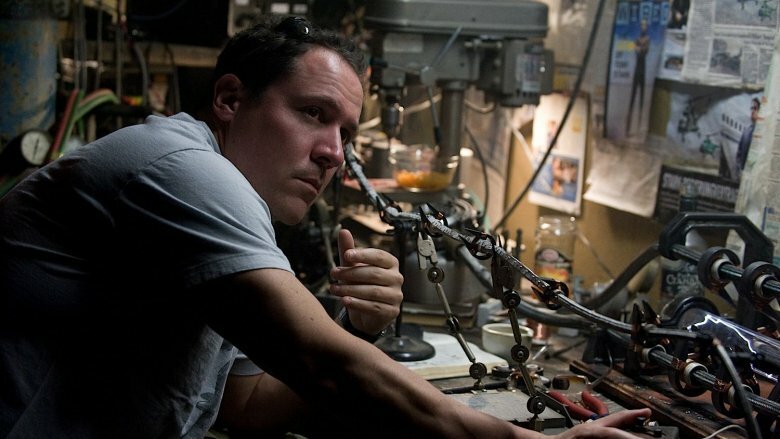 Iron Man 2's Easter eggs are mostly inconsequential and clunky—with some offering a glimpse at the type of movie Favreau had wanted to make. One of the biggest is the prototype Captain America shield that's spotted laying around in Stark's workspace, which feels unnecessary (especially since Cap's shield is frozen with him at the time). Then there are the subtle nods to the Mandarin's Ten Rings organization as the group helping Vanko. Considering Favreau wanted to eventually use the Mandarin in a third Iron Man film, those didn't evolve to mean very much (especially since the MCU's Mandarin was shown to be a fake in Iron Man 3, though that itself was retconned in the post-movie short film All Hail the King). When it comes to making a sequel, most projects typically try to go bigger and badder, and Iron Man 2 fell into that same formula. You get more characters, more team-ups, bigger set pieces, and wackier villains. Put simply: Iron Man 2 tried to go too big too fast. 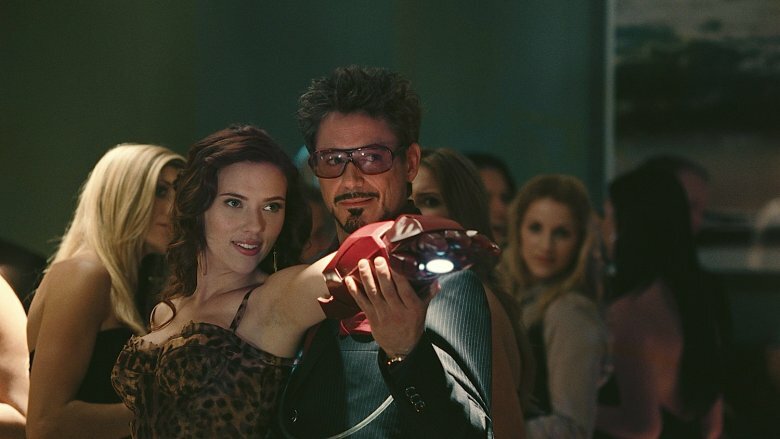 Following the film's release, Robert Downey, Jr. admitted they may have tried too hard to make the film bigger and crazier, instead of focusing on just making a good movie. "There's that other trap, where it's, 'Everything is bigger! Better! Do you know how many gigabytes we used in the opening sequence? How many terabytes?'" he pointed out. "Ultimately it comes down to that." There's little doubt Iron Man 2 got caught in some of those pitfalls, which was exacerbated even more by the film's heavy lifting to try and lay the groundwork for The Avengers. It had the deck stacked against it from the start.